I know an old lady (who swallowed a fly) (not really, I just couldn’t not write that) who swears that an apple stops her baking from going stale. She cuts an apple in half and places it in an air tight container along with her bread and cakes. 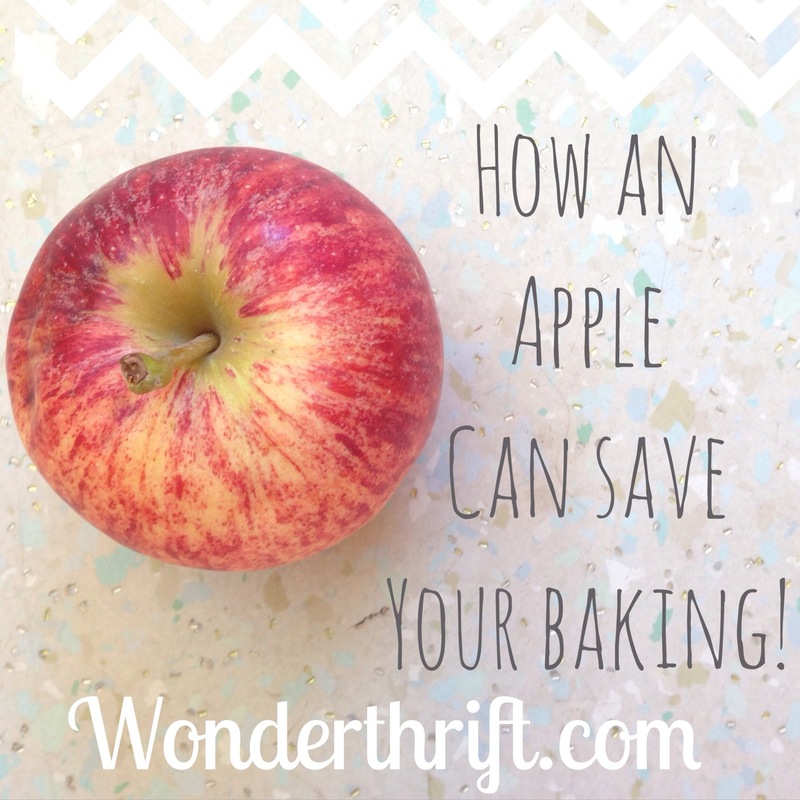 The moisture from the apple mysteriously stops the edges of the baking from going stale and she gets a good few days extra out of every batch of baking. In the name of investigative journalism I have tried hard to research this magical phenomenon, to discover WHY an apple could possibly hold such power but it appears to be a mystery too deep (for the front page of Google) to fathom. However, my faith in the knowledge and wisdom of a granny, when it comes to baking defies all need for a logical answer. What is your favourite thrifty folk-knowledge tip that has no reason but definitely works?